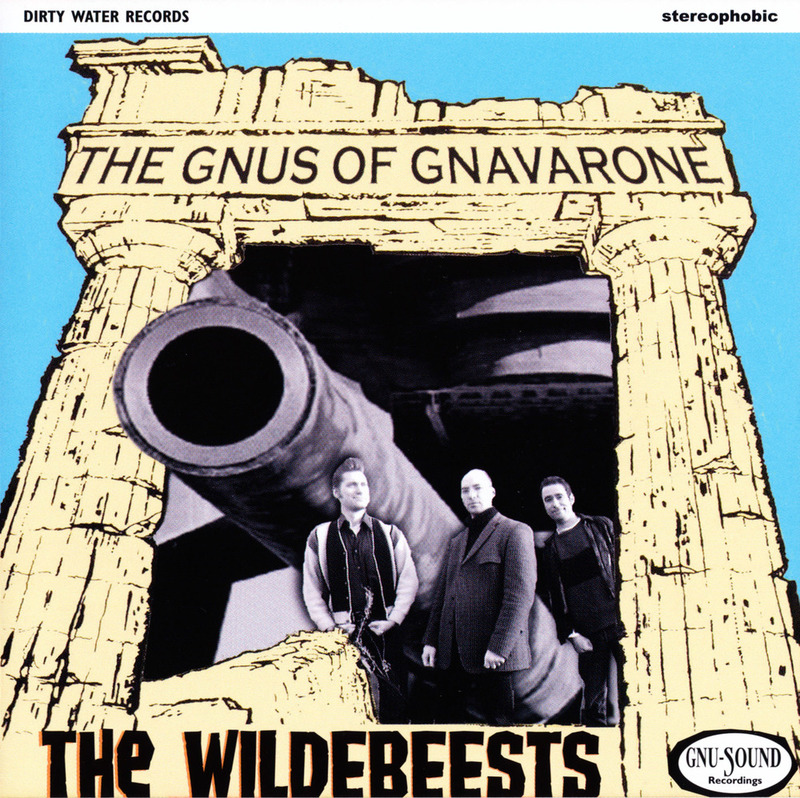 The Wildebeests are something of a garage-rock supergroup, seeing as the group consists of John Gibbs (The Kaisers, Holly Golightly Band, The Masonics), Lenny Helsing (Thanes, Green Telescope) and, last but not least, Russ Wilkins (Pop Rivets, Milkshakes and Delmonas). These three gits all cut their teeth playing raw beat music and generally causing an aural ruckus and have been doing so since before the likes of the Arctic Monkeys et al were born (which obviously means that they're at least twice as good as any of those young whippernsappers!). When their paths crossed they found that they had the same old cranky, rusty equipment plus some new(ish) shiny tunes that they had accumulated along the way and, wah hey, the Wildebeests were born! Rock Around The Blog: The Wildebeests "The Gnus Of Gnavarone"